Toyota Knoxville Collision Center The Only Certified Collision Center in a 100 Mile Radius! At Toyota Knoxville, we strive to make your service experience exceptional every visit. From our Toyota certified service technicians to industry leading equipment, you will always be at ease knowing your vehicle is in the right hands at our dealership. From start to finish, we care about your vehicle, your comfort, and your business. Schedule an appointment today to experience Toyota Knoxville’s service department! 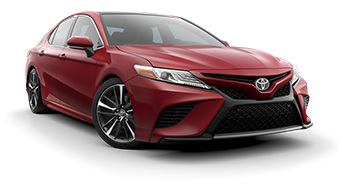 Toyota Knoxville can provide you with a replacement vehicle comparable to what you’re used to driving for as long as your car is in our service center. Prefer a shuttle instead for the time your car is in the shop? Get dropped off and picked up same-day within 15 miles. The Toyota Knoxville service center staff is dedicated to taking care of your car and you along with it. We will not only make sure that we are always professional and courteous to all of our customers but we want you to be comfortable as well. That is why we are always working to maintain our state-of-the-art facility and always looking to make every visit more convenient and quick. You also get the security of the Toyota promise and the feel of a local and neighborly car repair shop. We all know and love how convenient technology can be which is why we offer the ability for you to text or call in your payment at any time. We can also send you a text when we are done working on your Toyota or if there are any issues. Then you can skip the line and pay right from your smartphone or other device!